In this workshop, we created two conceptual diagrams in order to analyze and describe the existing forces of the urban environment of Barcelona. We intend to use this analysis to develop scenarios for the Future Mobility seminar where we propose a design for the future of the ring road – Les Rondes. 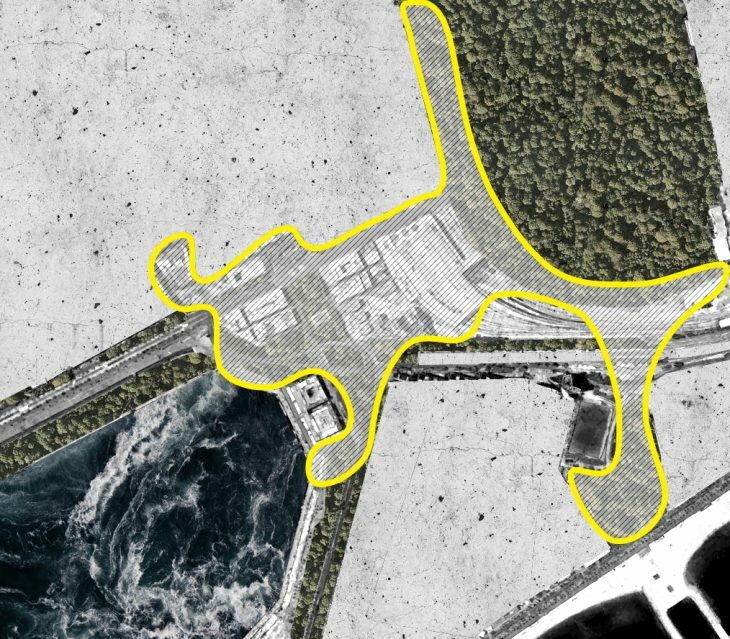 As such, we selected the natural landscape and man-made infrastructures as the focus of our analysis as these elements have a significant impact on mobility. 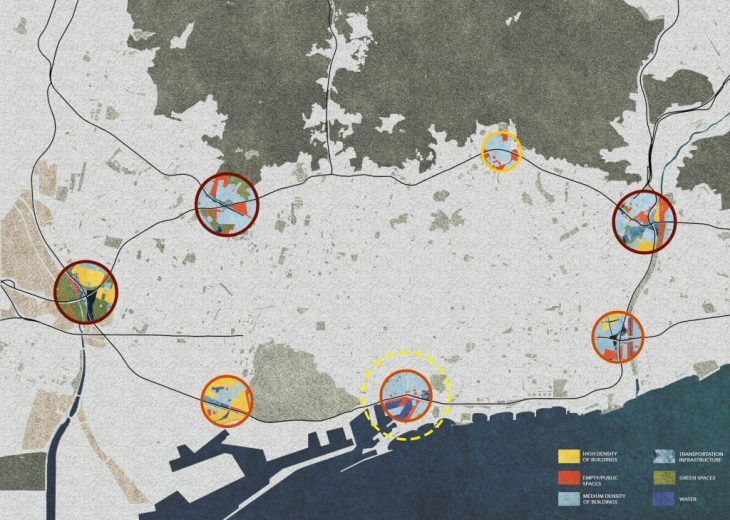 In the Future Mobility seminar, we plan to propose a new collective transportation system to provide alternative modalities for commuters as well as transit hubs on the ring road to improve the connection between the neighboring counties and Barcelona, and within different parts of Barcelona. The transit hubs will be designed taking into account of the future modalities of transportation and by expanding public spaces in order to improve accessibility of pedestrians as well as connectivity between different parts of the city and neighborhoods. This diagram illustrates the ring road, the proposed locations of the transit hubs, and the characteristics of each transit hub. The proposed transit hubs above highlight the built spaces, transportation infrastructure, public spaces and the natural environment. Through this diagram, we can see that each location has unique characteristics and suggests the need to design transit hubs in accordance with the specific characteristics of each location. The following image is the satellite map of the same area. 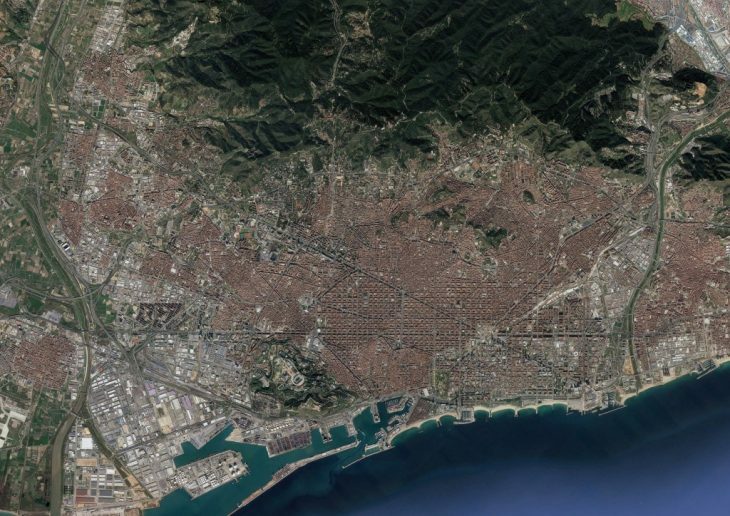 The Barceloneta area has two major physical infrastructures, Estacio de Franca and its railways and the ring road, which restrict the movement of people and divide the different fabrics of the city, namely, Ciutat Vella neighborhood, Parc de la Ciutat Vella, and the Barceloneta neighborhood. This diagram illustrates the potential platform to connect these three areas and improve the mobility of people at a human speed. 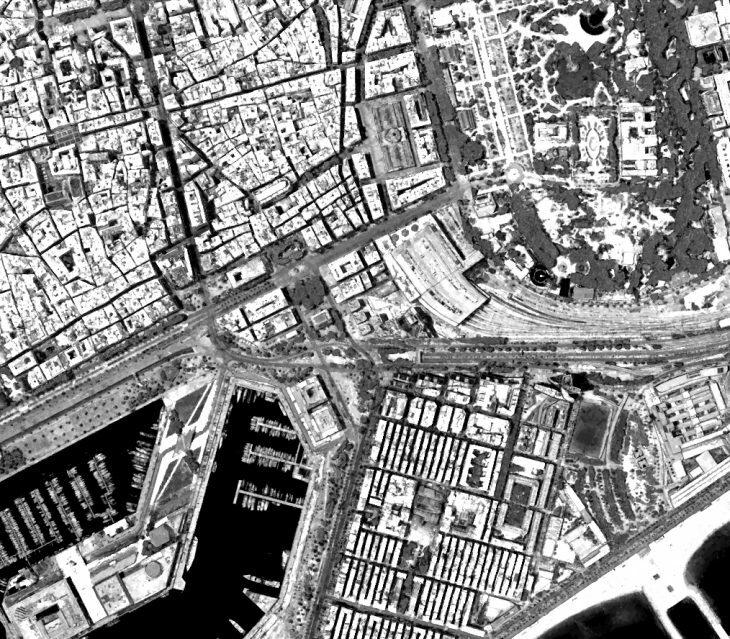 The following image is a satellite map of the same area.